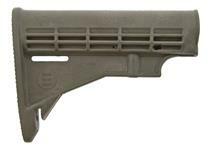 Category Forends & Handguards Handguards A - M M33 Handguard Set, Carbine Length, Rail on Top&Bottom, Black Plastic, MFT Mfg. 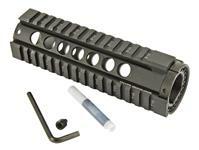 This carbine length (6-3/4" long) handguard set is constructed of DuPont military plastic with aluminum heat shields. Includes rubber rail covers and instructions. Made in USA. 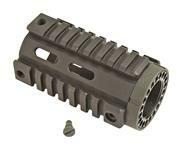 Lifetime Warranty is carried by MFT (Mission First Tactical).